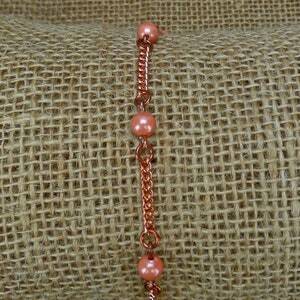 Copper Arthritis Bracelets don't have to be ugly! 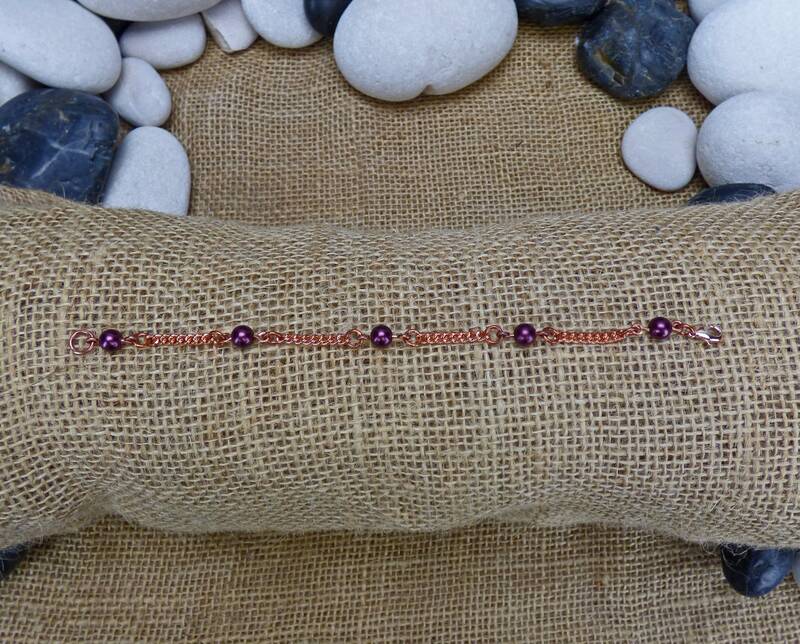 These thin copper chain bracelets, accented with Maroon magnetic hematite beads are the perfect way to get the relief you need from arthritis, while adding to your gorgeous style! 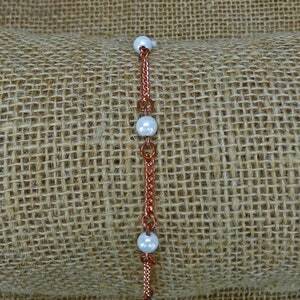 Finished off with a rose gold plated clasp to keep the look together. Try as I might I have never found solid copper clasps, and copper plated clasps tarnish and stop working so Rose Gold plating is the best color match look I have found. 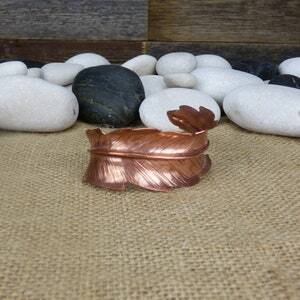 Copper has been used for centuries for its healing and medicinal properties. Being a natural anti-microbial that is listed by the US EPA for its ability to destroy many germs and viruses (including, but not limited to: MRSA, Ebola, E. Coli, C. Diff) copper jewelry is a practical jewelry for professionals that handle or are around an excess of germs, but should keep clean. Professions such as Nurses (like my awesome wife! ), cooks, and teachers that get more than their fair share of daily germ exposure. 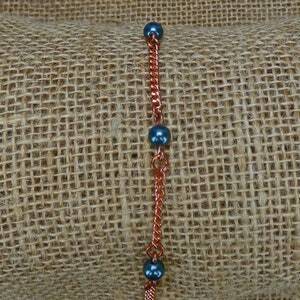 Copper has also been used in therapy for arthritic patients. 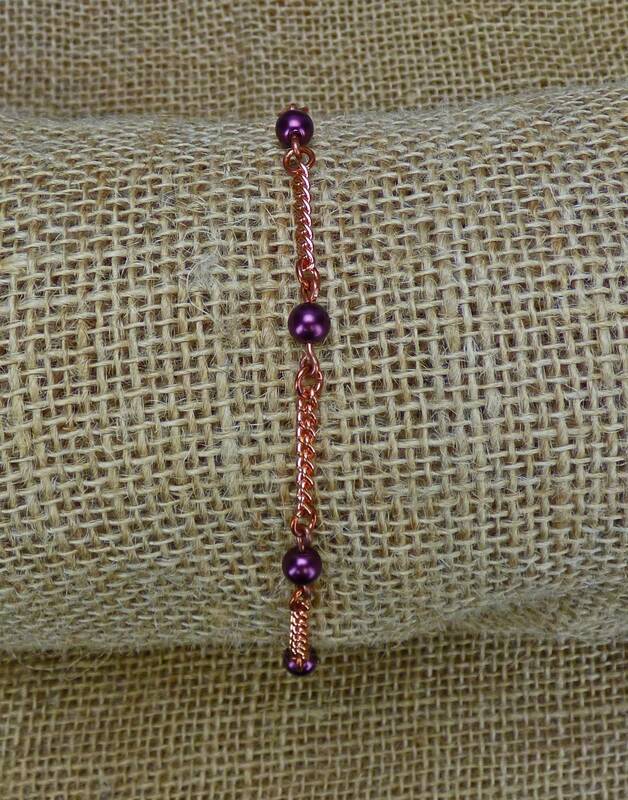 With coppers ability to absorb through the skin a copper bracelet is a great way to help ease your arthritis pain. But who says practical can't be beautiful? I've added super strong magnetic twisted hematite beads to break up the copper tones, and give the bracelet the added bonus of magnetic therapeutic effects. Don't forget to check the rest of my shop for more Copper Arthritis Bracelets, Chainmail Jewelry, Christian Jewelry, Victorian Necklaces, Renaissance Jewelry, Silver Jewelry, Copper Jewelry, Hand hammered Copper Bowls, and more!